Samsung released a new duo earlier than expected, the Galaxy Note 4 was unveiled in September, then it went on sale one month later. Samsung lost a lot of ground in 2014, because of the Galaxy S5 flagship, which didn’t make the best impression. The odds have changed in favor of Samsung once the Galaxy S6 and its Edge version were launched this spring, with a new design. Most of the fans appreciated the glass back, because it looks more premium, while others complained that the surface is slippery and if the phone is dropped to the ground, the glass easily cracks. 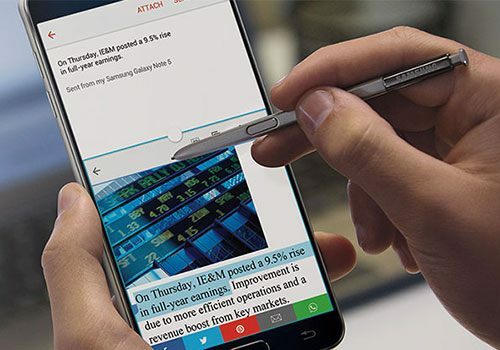 On August 13, Samsung announced the Note 5 and the S6 Edge+ phablets with the same design, so if you’re curious what they have to offer, read this article and find out more information about them. In the past, Samsung didn’t pay much attention to the exterior of its phones, they looked very cheap because of the glossy polycarbonate covers or the faux leather and fake stitching. Something needed to change, because the last experiment was a disaster and only a few fans approved the perforated dots from the back of the Galaxy S5. The Note 4 has a removable plastic back with faux leather, but the stitches have been removed and the silver frame was replaced with a metallic one. The Galaxy S6 Edge+ isn’t different from the Galaxy S6 Edge, which is the double-edged variant of the S6 flagship, and it has Corning Gorilla Glass 4 on both sides. If the original model cam with a thickness of 7mm, Samsung managed to make the Plus tablet 0.1mm thinner. The edges are covered with a metal frame that surrounds the curved screen and the phone has a height of 154.4mm and a width of 75.8mm. 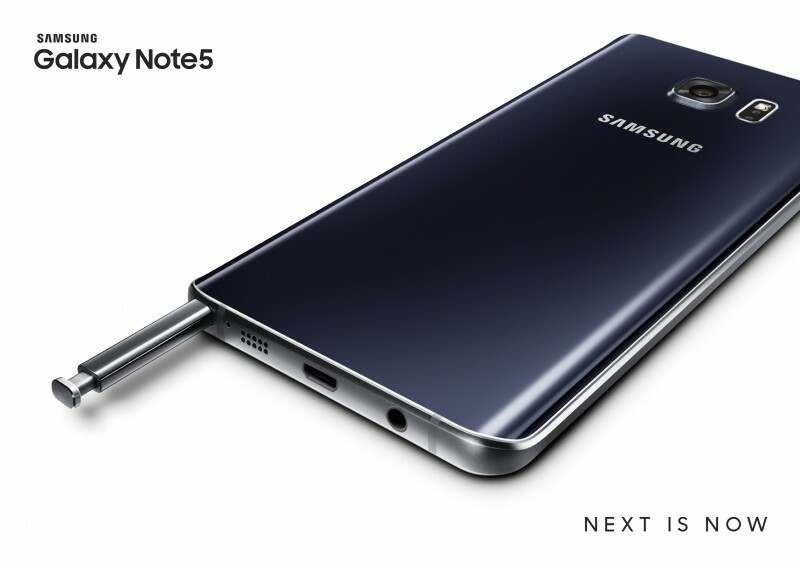 The previous Note 4 had a removable back, but the successor was totally revamped and it looks more like an extra large Galaxy S6. This means that the microSd card slot is gone and the back is fixed and made of glass. The only difference is that it comes with an S Pen Stylus with an improved pressure sensitivity and better writing performance, but it doesn’t auto-eject itself, as it was previously rumored. The phone is even thinner at 7.6mm and shorter at 153.2, compared to the Galaxy S6 Edge+. Both phablets have a fingerprint scanner which is PayPal certified. Samsung has developed its own screen technology, which is called Super AMOLED. Behind the OLED panel is added a layer of semiconducting film, which activates each pixel more quickly. Plus, the images are more vibrant, over saturated, as the technology uses a large color gamut, which causes battery drain. The screens of both phablets have a size of 5.7inches and an identical resolution of 1440×2560 pixels with 518 ppi. Another thing the Note 5 and the S6 Edge have in common is the hardware configuration, consisting of an Exynos 7420 chipset manufactured with a 14nm FinFET manufacturing process, and has a pair of quad core processors: Cortex-A53 clocked at 1.5GHz and Cortex-A57 clocked at 2.1GHz, which are backed by Mali-T760MP8 graphics and 4GB of RAM. None of the phones has a microSD card slot – which seems to be the new trend, so users have to choose one of the three variants of internal memories with capacities of 32, 64 and 128GB. The Note 5 has a rear camera hasn’t suffered any modifications compared to the previous model, as it comes with the same resolution of 16MP, but with a better software. It has everything you need: optical image stabilization, LED flash, autofocus, auto HDR and it can record 2160p at 30 fps. With the front camera you can take exceptional selfies, as it supports a resolution of 5MP and auto HDR. But the best feature that Samsung added to this duo is the possibility to broadcast via YouTube. The users can schedule streams or they can stream live, on the spot, up to 1080p at 60 frames per second. Both the Note 5 and the Galaxy S6 Edge+ come loaded with the latest Android 5.1.1 Lollipop version, which is layered by the TouchWiz interface. You can make mobile payments using both devices. The Samsung Pay payment service will be officially launched on August 20, in South Korea, and one month later, it will be available in the US, as well. But the service will expand to the UK, Spain, China and the rest of the world. Both batteries are non-removable and have a battery of 3,000mAh which supports quick charging and wireless charging. Galaxy S6 Edge+ 32GB – $814.99, 64GB – $914.99. In the US, they will be available via AT&T.